Big Gust Terrace is a 24 unit beautifully landscaped apartment building for seniors with a patio, laundry facilities and an elevator. 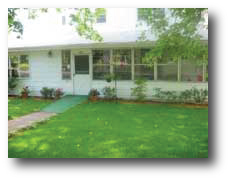 It is within walking distance from downtown. The spacious community room has a full kitchen, sitting areas and a piano. Rent based on income. This faciility is an equal opportunity provider. 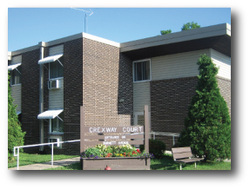 Courtyard Square is a beautifully landscaped, 15 unit apartment building located within walking distance of downtown Grantsburg. There are onsite laundry facilities. The community room has a full kitchen. 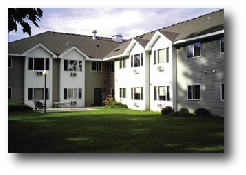 There are both one and two bedroom apartments, some with rental assistance. Must meet elderly or handicap qualifications. This institution is an equal opportunity provider. 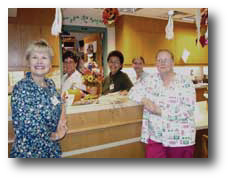 The Continuing Care Center is a 50-bed skilled nursing facility/sub acute unit. The inter-disciplinary team provides medical support for residents who may need care on a long-term basis and residents who need care between their hospitalization and return home. 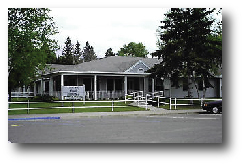 The center offers private room accommodations and a full range of health, personal, and hospice care services. Rehabilitation services include physical therapy, occupational therapy, and speech therapy; individualized care plans are emphasized.